Wetland Pollution at Bolong Fenyo Community Wildlife Reserve, in Gunjur: What does out of Court settlement between National Environment Agency and Chinese Golden Lead Fish Meal Processing Company means to the health of the wetland ecosystem in Bolong Fenyo and the health of the people of Gunjur? Bolong Fenyo Wildlife reserve, poisoned with untreated highly arsenic waste water, after the Chinese Golden Lead Fishmeal Company came. They installed a pipeline for their waste water straight into Gunjur’s wildlife reserve. In the background local kids are playing near the dangerous water. It would be recalled that June 13th 2017, Environment Agency dragged Golden Lead fish meal company to Brikama Court for violation of environmental law and court sitting was adjourned to July 3rd, 2017 for further hearing. However before the scheduled date for hearing, an announcement by Press Secretary at OP reported that the ongoing Court case between environment agency and Golden Lead has reached an out of court settlement. The details of the agreement up to date is unclear to the community of Gunjur and management of Bolonfenyo Community Wildlife Reserve. The brave move by the National Environment Agency to prosecute a Company like Golden Lead for failure to adhered to the recommendations of the EIA study was highly commendable, not only because it has sent strong warnings to other companies carrying out similar violations. But also demonstrated that National Environment Management Act superseded all other laws related to natural resources management in the Gambia. Therefore huge responsibility, trust and leadership lies on the agency to act, resolve and enforce the laws where deem necessary to avoid creating precedence which could make it difficult for the agency to address similar violation in future. In this case, we saw a clear obstruction of Justice on the side of the Central government defending the company on the basis of revenue generation and job creation. Which I believed is a positive side of the project to the nation, but on the other side, we cannot continue to ignore the negative environmental impacts the company is causing to the most fragile ecosystem. Therefore, the agency must continue to engage the community of Gunjur on this matter through the existing national platforms like the Coastal and Marine Environment Working Group and the Agriculture and Natural Resources Working Group respectively. Otherwise the professional integrity of the agency will be at stake for ignoring the status quo. Apart from our national environmental laws, the Gambia is a part of international and regional bodies including Ramsar Convention on Wetland, IUCN, Convention on Migratory Species and Biodiversity Convention, all which the Department of Parks and Wildlife Management is the focal point. Also the Abidjan Convention, which National Environment Agency is the focal point. The main objectives of these bodies are to conserve coastal and marine biodiversity, including the wetland ecosystem in our subregion. In this regard, our national focal institutions also have a key role to play in resolving the specific problem in the event of such environmental disaster. Therefore, they could all used their respective mandates to engage the government and the key stakeholders with view of reaching a compromise when conflict of interest occurred within two Government institutions. Bolong Fenyo is the first Community Wildlife Reserve in Gambia, officially declared protected area after successful implementation of World Bank Project (Integrated Coastal and Marine Biodiversity project- ICAM). The forest, wetland and sand dune in Bolong Fenyo provides a valuable habitat for migratory birds, marine turtles and other crustacean. The discharge of highly arsenic waste water coming from the fishmeal factory into the wetland is endangering the survival of these species and their habitat. More importantly, the wetland of Bolong Fenyo has connection to other water bodies close to the women vegetable garden. Therefore contaminated water will pollute the ground water and pose a health risk to the people who utilize the water for drinking or other agricultural purposes. 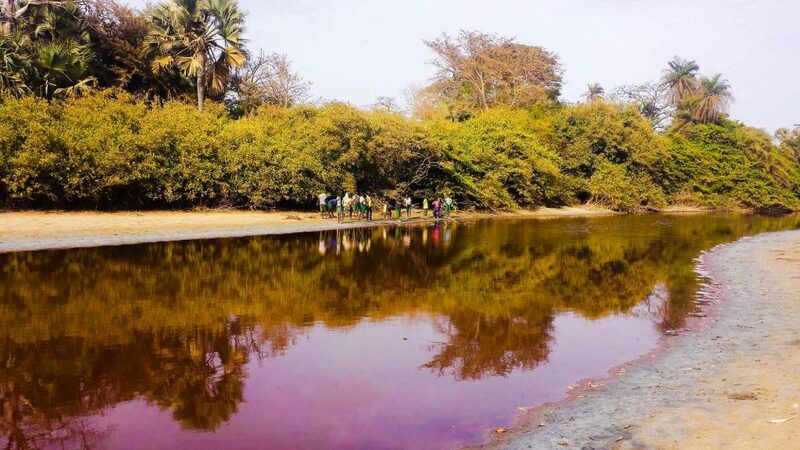 Currently Bolong Fenyo is one of the best location for turtle nesting sites and hatcheries in the Gambia and many local and International students used the area for wildlife research. In as much as we value the contribution of foreign investors like China to our economy, we must never compromise our national laws in relation to conserving our natural ecosystems and species in expense of the revenue from these kind of projects. The health of our ecosystem and our community means a lot to the well-being of our nation. I believed we can build a strong economy in Gambia while protecting our environment, rather than destroying it. Bolongfenyo and community of Gunjur needs our support, let us not ignore their plight.